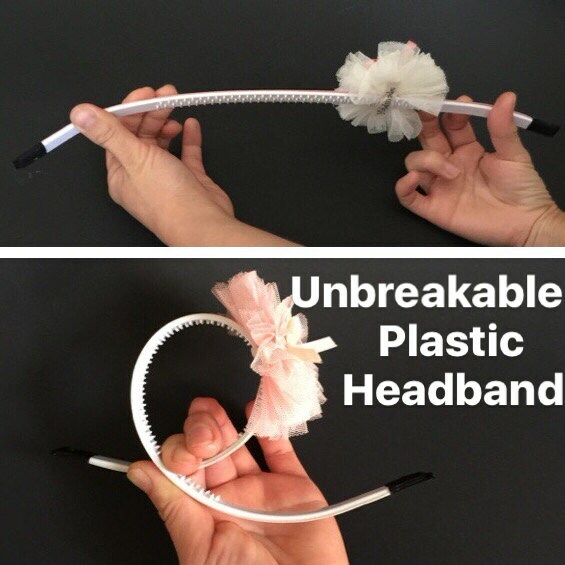 Are you tired of hairbands that easily break? This hairband is for you! 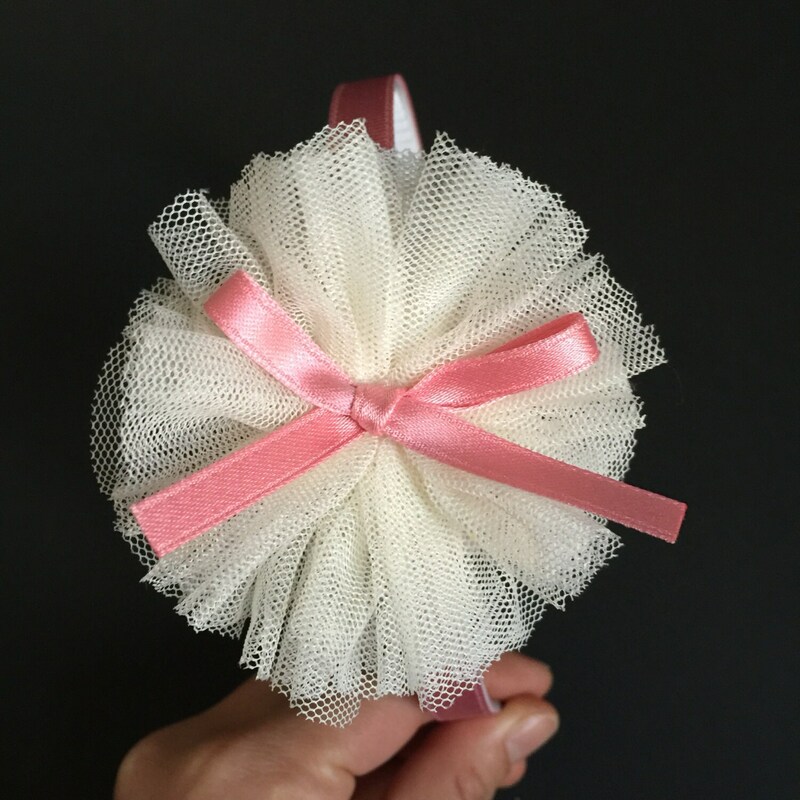 All our hairbands are made from a 'Patented plastic' that is virtually unbreakable. 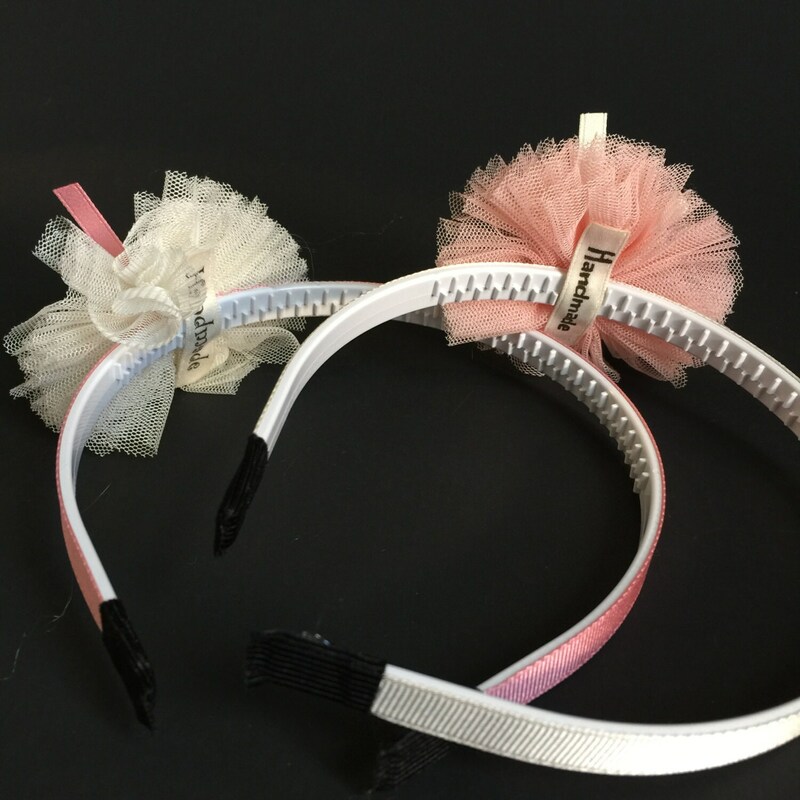 Even though the headband is unbreakable, the plastic is soft and flexible so that it will fit comfortably on your child's head. Take a look at the pictures - this hairband does not break! This is a truly unique headband made of highest quality materials. 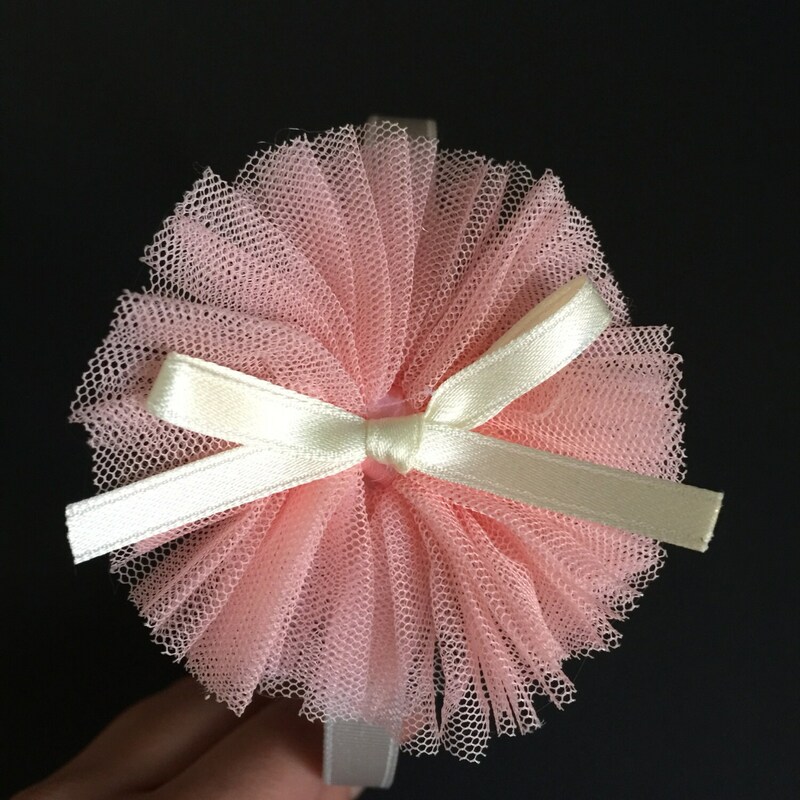 This ruffled ribbon headband is very lovely and used to make headbands for princess girls. 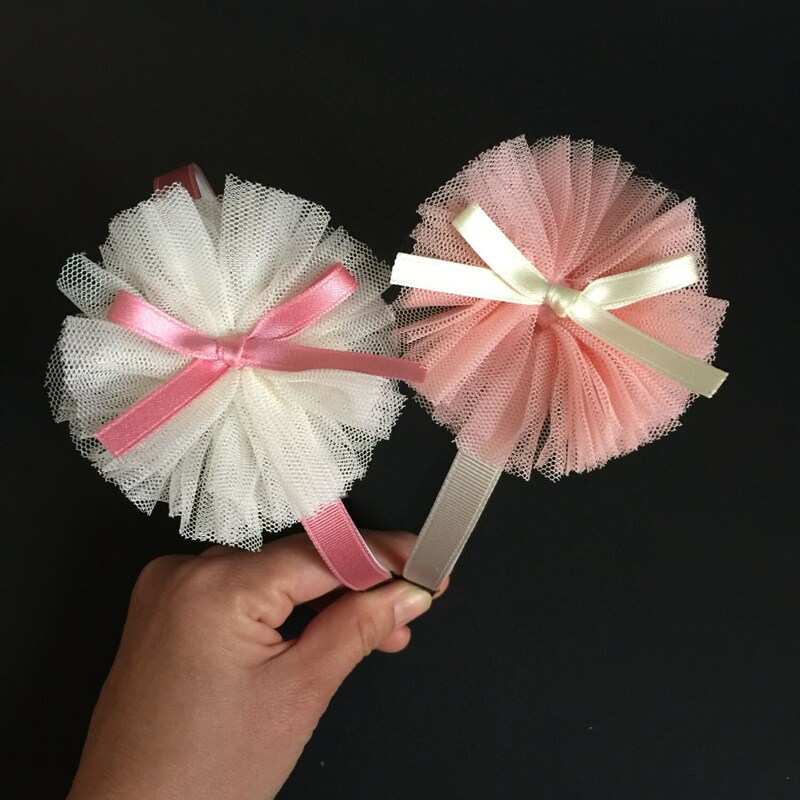 This is a one-of-a-kind hair accessory for flower girls in weddings, birthday parties, or any other occasions.